There are many misconceptions and information being offered to people that may not always be completely accurate. It can be hard for people to get all the facts they need when looking for answers to questions they have about health concerns and diet issues. One of the common questions being asked is whether or not there is any merit to the suggestion of eating vegan to cure disease. 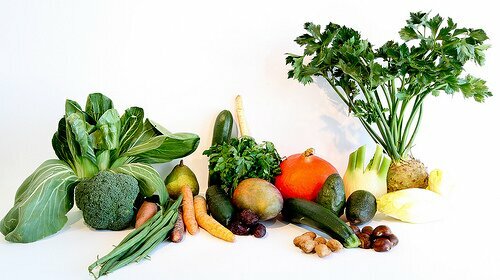 It is important to realize that a vegan diet is a subset of a vegetarian diet. Where different forms of vegetarian diets can allow for eating some products that are derived from animals, the vegan diet does not allow for using or consuming any animal products of any kind. As with any diet, a properly planned vegan diet can offer the basic nutritional needs, but if the diet is not planned well there can be a lack of vitamins B12 and D, calcium and iodine. People who are following a vegan diet are encouraged to always seek medical advice and take any supplements as needed. Can a Vegan Diet Cure Disease? Whether or not following a vegan diet will actually cure disease has not been scientifically proven. Diabetes. Contrary to what is often reported, eating a vegan diet will not cure diabetes. But, it does offer some benefits which may help to control and manage the disease itself such as keeping weight lower, possibly helping your body to become more responsive to insulin and even perhaps protect against some diabetes-related complications. Since a strict vegan diet is low in saturated fat and generally cholesterol free, not to mention low in calories there can be many benefits to those suffering from diabetes. Heart disease. Eating a vegan diet will help to lower cholesterol which can lead to heart disease. Vegan dieters have lower cases of heart disease, due to the fact that the foods they are eating are low in saturated fats and lower in cholesterol. High blood pressure. It has also been proven in numerous studies that those who follow a strict vegan diet have significantly lower blood pressure than those who eat meat in their diets. The benefits of lower cholesterol and less saturated fats, along with other benefits of the diet such as lower sodium levels help to keep blood pressure low. Cancer prevention. Although research has not been able to understand the reason, people who are following a vegan diet seem to have lower death rates from cancer than those in the rest of the population. It is suggested that perhaps since vegans for some reason have more white blood cells, which are referred to as natural killer cells, these cells are able to attack and fight the cancer cells. Prevention of osteoporosis. Eating a vegan diet means not taking in any animal proteins which are known to cause loss of calcium in the bones. The result of not losing calcium in the bones means that there is less risk of developing osteoporosis. An added benefit is that vegan eaters have less kidney stones and gallstones. It is very important to remember to always seek medical advice before deciding to follow a vegan diet as it is vital to be sure the body is still getting the needed elements that are needed to prevent other health problems. Simply deciding to start eating vegan to cure disease is not a good idea until complete research has been done to determine any benefits there may be.